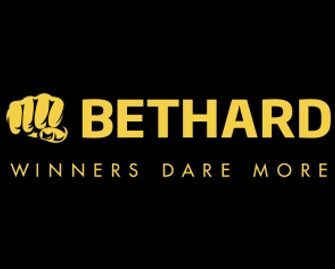 The online gaming industry truly got a great addition to the casino world when the Bethard platform was introduced to the world. It’s a very diverse platform, which offers a vast array of games, with slots, table games and more all offered up. It’s only been available to access since 2014, but in that space of time, it’s managed to gather a proud following of gamers. It holds a couple of different gambling licences, the first of which is from Curaçao eGaming, while the second is provided by the Malta Gaming Authority. 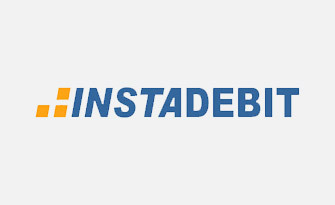 The site can be viewed in English, as well as Norwegian, Finnish and Swedish, and all games are available in instant play mode, or via a mobile device such as a smartphone or tablet. And something else which makes this casino a little better is that there’s also the opportunity to join the Bethard Sportsbook as well. Accessing the casino’s home page will present you with a layout featuring high-quality graphics. The site’s logo presents you with the motto, ‘Winners Dare More’ at the top of the screen, and alongside this, you can navigate between ‘Sports’, ‘Casino’ and ‘Promotions’ pages, while below this, you’re able to find the variety of different games provided by the platform. All in all, it’s a very modern and visually appealing interface for you to browse your way around, and accessing the selection of games from the home page is exceptionally easy to do. *T&Cs for UK players: Your welcome bonus consists of 10 bonuses of £5 up to a maximum total of £50. This offer is available for New Customers registering from the UK after the 1st of May 2018. Bonus will expire after 7 days from registering. This offer is only available to New Customers from the UK making an Initial Deposit of £20 or more. Customers depositing via the following deposit methods are not eligible for the Welcome Bonus: Skrill & Neteller. Full T&Cs apply. Perhaps one of the best things about this casino is its wonderfully crafted promotions, and these become available to you once you’ve signed up. Kick-start your gambling adventure with up to 50 extra to play with up to €100 extra to play with. Get a 100% bonus on your first deposit and use it any way you wish. 1st Deposit: 100% bonus up to €100. Wagering requirements – 20x. T&Cs for UK players: Your welcome bonus consists of 10 bonuses of £5 up to a maximum total of £50. This offer is available for New Customers registering from the UK after the 1st of May 2018. The bonus will expire after 7 days from registering. This offer is only available to New Customers from the UK making an Initial Deposit of £20 or more. Customers depositing via the following deposit methods are not eligible for the Welcome Bonus: Skrill & Neteller. Full T&Cs apply. There are four different software developers who provide their games to the BetHard Casino platform, and these exist in the form of Evolution Gaming, Microgaming, NetEnt and Quickspin. With this being the case, you’ll find that there’s a wide range of products on offer for you to take advantage of. The first category of game that you’re able to play is the ‘Slots’ option. This provides you with a choice of titles, such as Theme Park: Tickets of Fortune, Muse: Wild Inspiration, Shaolin Spin and Hot as Hades. There’s also a wide range of progressive jackpot products incorporated into the site, with the popular titles like Cosmic Fortune, Major Millions and Mega Moolah Isis all being available. 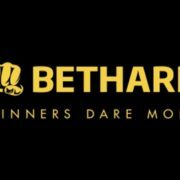 The BetHard site has also had an injection of live casino games as well, enabling you to play a few rounds of products with live dealers, like Three Card Poker and Casino Hold’em. Blackjack and roulette categories have also been added to the site, ensuring that there’s plenty of table games available for avid fans to play. Finally, there’s the ‘Other Games’ category, which offers up various different products such as video poker, keno and others. Before you’re able to play the games on the casino site, you’ll need to add some funds to your account, and there’s a few different methods that you’re able to use in order to do this. Of course, you’ll have the chance to take advantage of the site accepting Visa and MasterCard products, while eWallets are provided in the form of Skrill and NETeller. Other forms of funding your account include Trustly, Zimpler and Paysafecards. Most of these can also be used to make withdrawals as well. There’s a small FAQ section included on the BetHard site, and this does provide answers to some of the more regularly found questions relating to casinos. However, if you find that you want or need to speak to a support agent, the team can be found via the live chat function first of all. This is open on a 24/7 basis. Meanwhile, you’re also able to make use of an email address to send a message along, which is [email protected], or you can fill out the relevant contact form on the site instead. 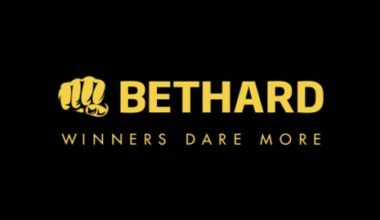 BetHard may only be a couple of years old, but it’s definitely providing a stellar website, wide range of games and decent promotions to go along with it. Add to this the ability to contact support at any time, as well as the chance to use a variety of payment methods, and BetHard provides a really welcoming platform on the whole.